Green North of Berlin – Frohnau, Hermsdorf und Waidmannslust - Berlin erleben ! 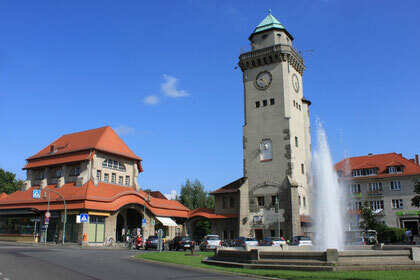 Get to know the flair of the garden city Frohnau. Discover the “Invalidensiedlung“, which is a hidden small former settlement of the war invalids in the middle of the Frohnau forest. Learn about the interesting history and the reason for the selection of this location. Border experience – how was the very specific situation during the wall era? There are also some curiosities worth discussing. Get to know the idyllically situated house of Erich Kästner, who lived in Hermsdorf for a time. How has this “village” developed? The beautiful village square of the old centrr of Hermsdorf (Alt-Hermsdorf) is very impressive, besides the village church and former village school. The story behind Waidmannslust is completely different and started with a tavern within a forest. The post-war period has left its traces and the former locations of the French ambassador and envoy are still visible, besides other things, such as the “Cité Foch”, which remind us on the of the post-war occupation.